Retirement 2.0: Hungarian Architecture Book: Chapter 1. Historicism. (Or What I Did on my Summer Vacation). Hungarian Architecture Book: Chapter 1. Historicism. (Or What I Did on my Summer Vacation). I have spent a good part of the summer drafting the first chapter of my Hungarian Architecture book. It's not completely done (and I did promise I would get it done before left, and maybe I will. . . . ) I am posting the first section. The next sections will be Eclectic Historicism and New Possibilities for Urban Development. In many ways they are more interesting than this first section, but they're not ready to show anyone. I would love to get feedback from anybody. Sorry the format is so wonky. It's been formatted for Kindle and it's hard to cut and paste it to blogger. Also I have to edit for typos, etc. So, here goes. . .
1. Historicism: Hungarian Architecture 1848-1900. In 1848, as part of the larger European revolutionary movement, Hungary challenged its status as part of the Habsburg Empire. In 1849, Hungarian forces were defeated. As a result, the new Habsburg emperor, Franz Joseph, dissolved the traditional Hungarian administration and tried to absorb Hungary into a politically homogeneous Empire. Hungarians reacted mostly with passive resistance. Among other ways, this resistance shows up in the architecture of the second half of the nineteenth century. Spurning Vienna as an architectural model, Hungarians instead turned to other western European architectural traditions. 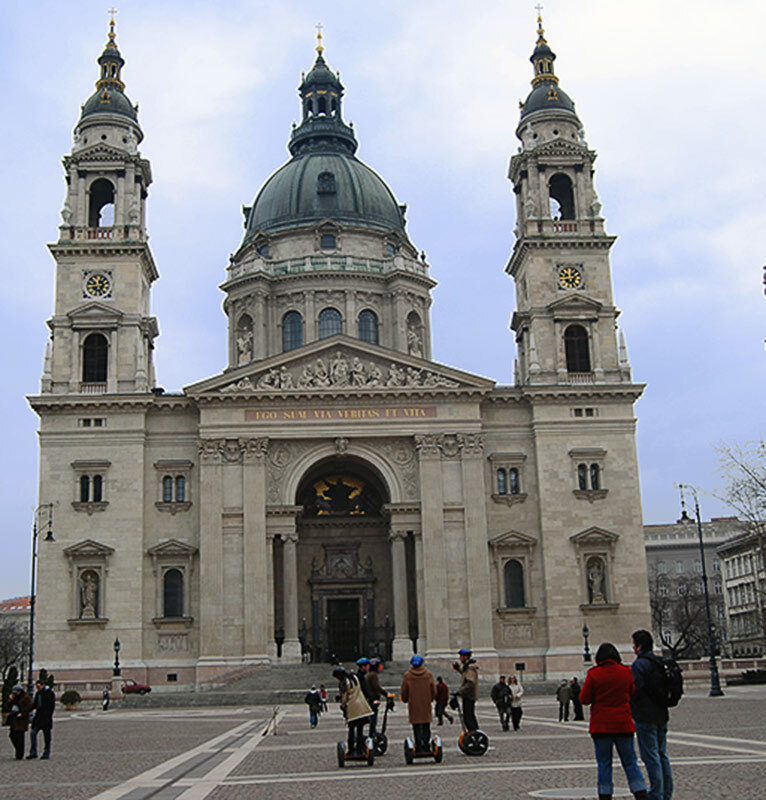 Hungary had throughout its history borrowed major architectural styles of western Europe, including French Gothic, Romanesque, Italian Baroque, and Neo-Classical. In the nineteenth century, it returned to these style--not to recreate the past, but to use and transform older styles in order to create a new sense of national identity. The time was right for Hungary to establish its identity as a European nation in its own right, and not just a part of the Empire. In 1872, Buda, Obuda, and Pest were joined to form the national capital city Budapest. A few years later, the 1876 Compromise resulted in the Dual-Monarchy of the Austro-Hungarian Empire, personified in Franz Joseph, called Emperor in Austria and King in Hungary. The 1876 Compromise gave Hungary its own national government (except for foreign affairs which it shared with Austria), a parliamentary democracy, and a liberal political and economic ideology. Additionally, it reunited Hungary with Transylvania, a region essential to Hungary’s sense of itself as a nation. This political stability brought about an economic boom unparalleled in Hungary’s history, resulting in growth in infrastructure and industrial development. Concomitantly Budapest’s population grew, going from 30,000 in 1872 to almost 1,000,000 by 1900, resulting in an unprecedented building boom. In the midst of all this growth and development, Hungary wanted to define itself not simply as an adjunct to other countries, but as a nation in and of itself. Part of that desire is manifested in its architecture. Historicist Styles. Prior to the end of the 19th century, stylistic purity made it possible to distinguish among “neo” styles of Hungarian buildings, such as neo Classical, Gothic, Renaissance, or Baroque. In general, Classicism was connected with civic buildings, Gothic with sacred buildings, and Baroque with palaces and villas. 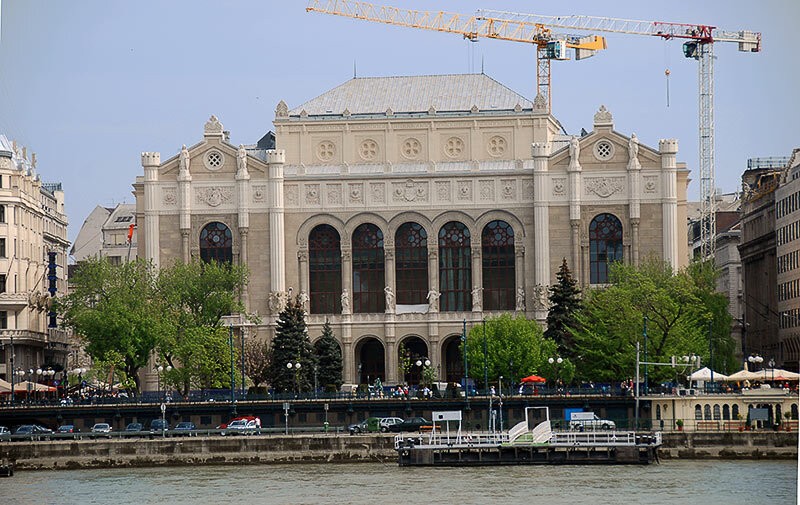 Hungarian architects turned to these historicist styles because they believed Hungary lacked a national style of its own. Imre Steindl (1839-1902), a professor of architecture and later architect of the Hungarian Parliament argued in his inagural at the Royal Joseph Technical University (later the Budapest Technical University), argued in his inaugural speech that “there is no trace anywhere of a national character for architectural forms applied in stone” (qtd. in Sisa, p. 14). Thus, the official validation of Historicism. The greatest figure of post 1848 historicist architecture was Miklós Ybl (1814-1891). 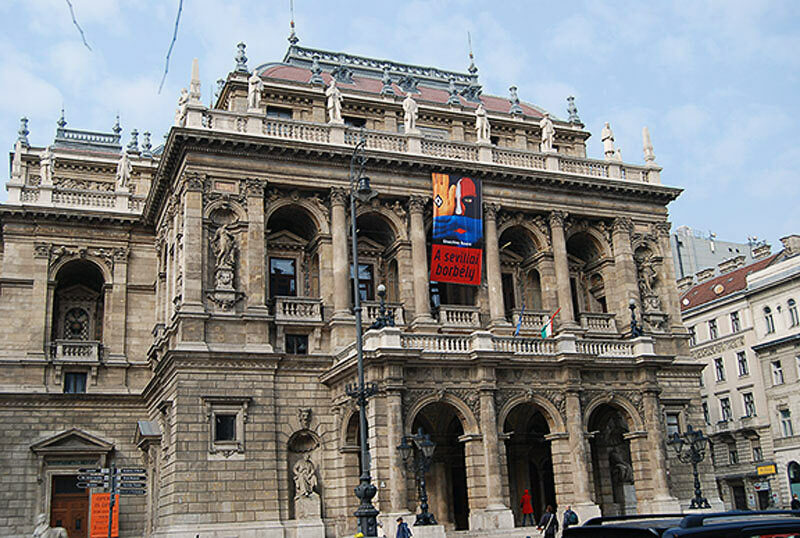 Ybl built many of Budapest’s most important public monuments, including the neo Italian Renaissance Hungarian Opera House (Fig, 1.1) and the neo-Classical St. Stephen’s Basilica (Fig. 1.2). 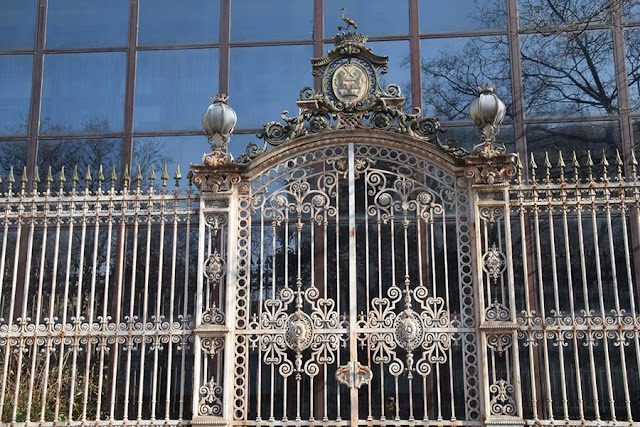 He was also a prodigious builder (and entrepreneur) of “palaces” for Hungary’s aristocracy. 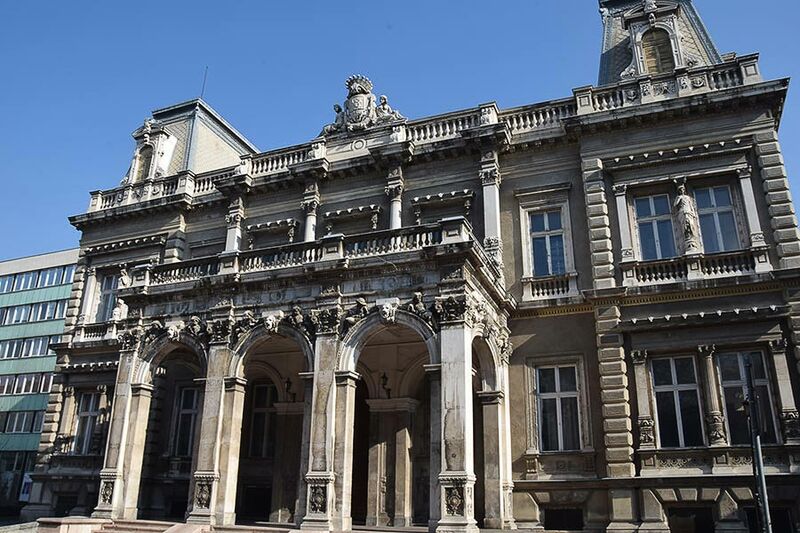 The Károlyi Palace is a beautiful example of Italian Renaissance, Ybl’s preferred style (Figs. 1.2-3). Ybl’s work presents, for the most part, a kind of pure historicism, in which he adopts a specific style, usually Italian Renaissance. However, the goal of such work is not simply to preserve the past. Rather, Ybl’s grand buildings show Hungary’s aspirations—political, ecclesiastical, and aristocratic—in the second half of the 19th century: the face it wished to present to the world. Figure 1‑1. Hungarian Opera House (1867-1891: begun by Joszef Hild and finished by J. Kauser). Miklos Ybl. Figure 1‑2. St. Stephens Basilica (1851-1905). Miklos Ybl; completed by Jozsef Kauser. Figure 1‑3. Karolyi Palace(1863). Miklos Ybl. Figure 1‑4. Detail of the gate, Karolyi Palace (1863). Miklos Ybl. Fig. 1.5. Figure 1‑5. Vigado (1860-1865), Frigyes Feszl. The tension in historical styles is evident even in the premiere national building of the nineteenth century: the Hungarian Parliament. The contest to design Hungary’s Parliament was issued in 1882. The commission was awarded to the historicist advocate and architect Imre Steindl. 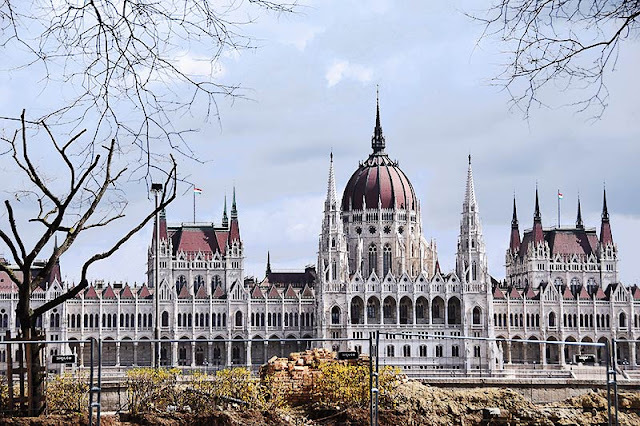 Steindl offered the following rationale for his choice, repeating Henszelmann’s argument that the Gothic corresponded with Hungary’s golden medieval past: “While designing the Parliament, I made no attempt to create a new style; such a monumental structure, built to survive centuries, cannot display ephemeral details. I rather strove to implant national and individual spirit into the majestic style of the Middle Ages, as art always requires, in a modest and careful manner” (qtd. in Moravansky, p. 68). There was much dissent. However, the planning committee for the new Parliament endorsed Steindl’s rationale: “Gothic is not a national style; but since we have no national style, [the committee] agrees to select this style of not German but French origin, to represent the most majestic ideals of freedom and power” (emphasis mine; qtd. in Moravansky p. 68). Figure 1‑6. Hungarian Parliament (1885-1904). Imre Steindl. But while the Hungarian Parliament does borrow from French Gothic, it is not stylistically pure. The Gothic elements, for example, suggest the quasi-religious character of the promise of parliamentary democracy but are at odds with the building’s baroque size and arrangement of the interior spaces (particularly the dome). Akos Moravanszky argues that “the difficulties of adopting Gothic structural elements and details to the baroque principles of spatial and mass composition arise from the symbolic program” and cannot “be explained as an adaptation of a historic model to solve a new building task.” Rather (like the new Viennese Parliament), the Budapest Parliament “appear[s] as didactic assemblages, presenting history as seen from a rearview mirror that condenses the view into a compact scope.” In particular, the “Gothic of the Budapest Parliament was a clear rejection of Ringstrassenstil and a reaffirmation of the reformist goals of Gothic revival with all its associations of joyful labor, craftsmanship, and national virtures. But finally it was the baroque principle of theatrical special arrangement of fragments as parts of a new spatial identity that dominated. . . . “ (69-70). The signature building of Hungarian Historicism thus signals not only the historicist program, but also points to its constraints as Hungarian national goals developed in the twentieth century. 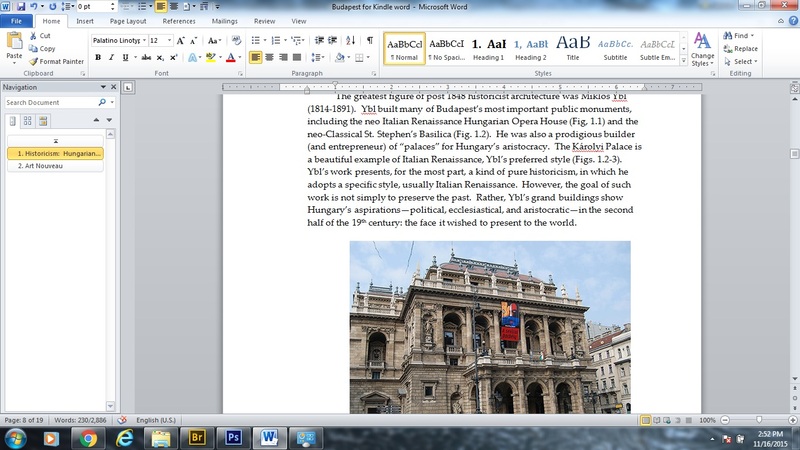 Hungary, however, did not immediately reject historicism. Instead it combined historical styles to create new aesthetics and functional possibilities. What, exactly, is the Vigado? And are the "Eastern" elements seen as connected only to the Venetian/Byzantine or is there a connection to the Ottomans? How wonderful to have a professional editor as a friend and blog editor. The Vigado is now a concert hall. Originally it was Assembly Rooms, though I'm not quite sure what this consisted of. The gesture towards the "east" was not, I think, designed to evoke the Ottomans. There is almost no Ottoman architecture remaining in Hungary that could be used as inspirtatio--except perhaps the baths. Hungarians would, I think, have associated Ottoman with the time they were overrun by the Ottoman Empirewas, not a happy recollection. The "eastern" pull was there throughout Europe at the end of the 10C. But it had a particular flavor in Hungary because many, including Odon Lechner the most famous Hungarian secessionist architect of all, believed that the origins of Hungarian (language and culture) was in Persia or India. (They seem to have been interchangeable). This will be a big topic in the next chapter, which is on Lecnher and the search for a national style. I need to think about how much I should explain that here. Messy Modernism. D.H. Lawrence. The Rainbow. We Are Going Back to Budapest in the Spring!